For the third year in a row, and the NINTH time in Brady’s career, the Pats are back in the Super Bowl after what was an all-time game for the ages. No, but seriously, that game was almost indescribable – a complete roller coaster that had me experience pretty much every human emotion possible, especially in the second half. While the Pats rolled out to a 14-0 lead, holding one of the greatest offenses the game has ever seen to zero points and just 32 yards of total offense at the half, things changed significantly over the last 35 minutes. Not only did the Chiefs increase their yardage output eight-fold in the second half (they finished with 290 total yards), but the Pats offense also slowed down significantly, starting off with a punt, field goal, failed fourth-down conversion, and an interception on their first four drives after halftime. In the meantime, the Chiefs scored three touchdowns and were up four with about eight minutes left to play. There was also a muffed punt, ANOTHER interception by Brady, multiple back-breaking penalties on both sides – including a few complete B.S. calls, or missed calls (cough*that missed illegal pick by the Chiefs on Sammy Watkins’s TD*cough) – and THREE scores over the final 2:06 of regulation, including two within the final 42 seconds. Seriously, it would take an entire 1,000-word piece just to detail the insanity that was the fourth quarter. 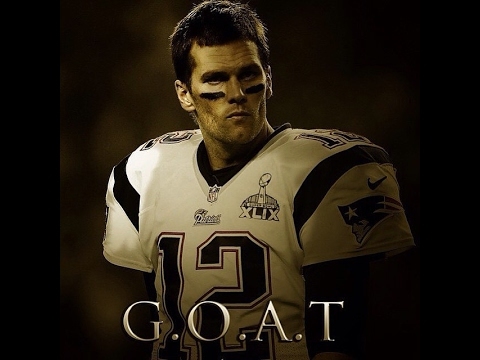 All that matters is that Thomas Edward Patrick Brady, Jr. proved once again (for the 567,589,732th time) why he is the greatest player to ever step onto the gridiron. 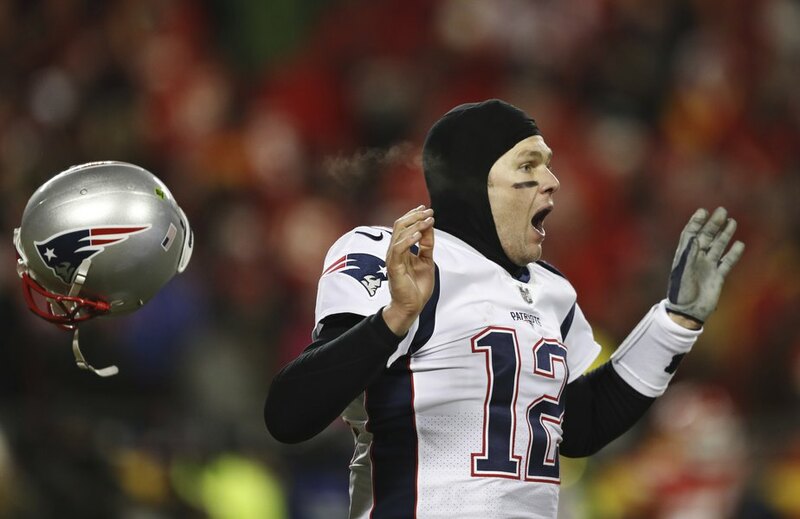 He not only lead two scoring drives in the final eight minutes of regulation, but that opening drive of overtime was a thing of beauty – one that saw Brady convert on three different third downs of 10 or more yards, before Rex Burkhead’s game-winning score. I usually hate giving individual awards to a group of players, but there’s no doubt that the Pats’ offensive line has been the team’s offensive MVP this season. It seems like every week I wax poetic about the big boys in front of Brady, but it’s because they are literally playing out of this world. They held the league’s No. 1 pass-rush to ZERO sacks, and Brady was hurried just ONCE on the night. Even with Aaron Donald and his 20.5 sacks set to square off against us in two weeks, I am not scared one bit. How could I be? 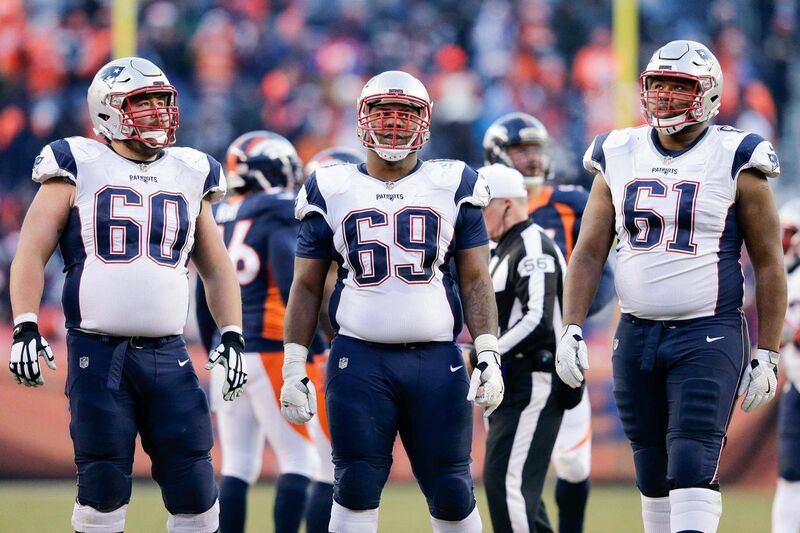 This might be the best Patriots offensive line I’ve ever seen in my 29 years of living. Actually, no – it IS the best, no questions asked. We wouldn’t be here without these guys this year, plain and simple. A lot of people may want to hop all over cornerback J.C. Jackson for what looked like a horrendous night BUT two things: 1) that P.I. he was called for at the end of the game was complete and utter BULL, and 2) he was asked to cover Travis Kelce one-on-one on multiple occasions, for what reason I have NO idea. The undrafted rookie has actually been fantastic this season, grabbing hold of the starting job opposite Stephon Gilmore midway through the season and coming up big on multiple occasions. For what it’s worth, he wasn’t as bad as some may think tonight. He’s going to be a good player here for a long time. Don’t worry, kid, I’m still on your side. And let me set the record straight: the defense was NOT bad tonight; they held the third all-time scoring offense to less than 300 total yards. Even more impressive was the fact they held Tyreek Hill to just one catch. Bill Belichick is a master of neutralizing the opponent’s No. 1 weapon, and he did so once again on Sunday, double-covering the speedster all evening and making him pretty much invisible. Kelce also only had three catches for 23 yards. (And remember, these two combined for 190 catches and over 2,800 yards this season!!!) This man is a master schemer, and this secondary is playing absolute lights out. On the other hand, Kyle Van Noy actually had a much worse game than people think, and he’s been getting away with some pretty lackluster play at times this season. Yes, he makes nice plays here and there, but he also absolutely whiffed on multiple tackles tonight, including what should have been two more sacks on Mahomes. He also couldn’t cover a defensive tackle stuck in molasses in pass coverage. Again, he’ll have a nice sack here and there, but if it weren’t for our stellar secondary and solid D-line, this defense would be in trouble. As pointed out by Red already, the team’s running game came up huge again. Sure, none of Sony Michel, Rex Burkhead, or James White averaged more than 3.9 yards per carry, but they ALL came up big when it counted: two TDs a piece for both Michel and Burkhead; SIX first-down conversions for White; no turnovers; and 176 rushing yards overall. Burkhead even received four targets to White’s six in the passing game. This is a really solid three-headed monster which will keep a solid L.A. defense on its toes down in Atlanta. Finally, I gotta give it up to Patrick Mahomes. That kid is ICE COLD, in a good way, and he will be running the league for years to come once TB12 hangs ’em up for good. Seriously, this kid is a monster, and there is no way he should be hanging his head after this one. But again, all that matters in the end is that WE’RE GOING BACK TO ANOTHER FREAKIN’ SUPER BOWL. Man, this just does NOT get old. Be sure to stay tuned to The 300s for all your Patriots pre-Super Bowl coverage – including our soon-to-be-officially-announced LIVE podcast! This entry was posted in NFL, Patriots and tagged AFC Championship, AFC Championship Game, AFC Championship Postgame, AFC Championship Reaction, New England, New England Patriots, Patriots Chiefs, Patriots Super Bowl, Pats Cheifs, Super Bowl LIII, Tom Brady. Bookmark the permalink.